Windows Mobile Device Center is software which provides a communication path between your PC and your Navigator. It runs on Microsoft Windows Vista, Windows 7, Windows 8 and Windows 10 operating systems. 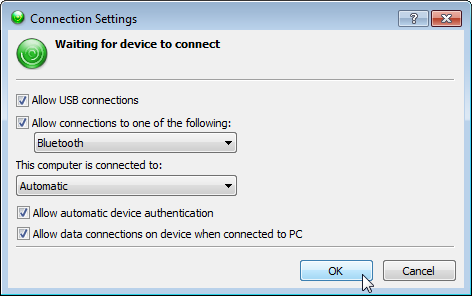 If you are running Windows 7, Windows 8 or Windows 10, Windows Mobile Device Center SHOULD automatically be installed when you connect a device like the Navigator. This is dependent on your PC being configured to automatically install Windows Updates. You can, however, install it manually following the process detailed within this article. You may receive advice (possibly even from Microsoft themselves) that Windows Mobile Device Center does not work on Windows 8 or Windows 10. This is NOT the case, as we use it on Windows 8 and Windows 10 every day! Also, note that having the Naviextras Toolbox PC software running while trying to connect using WMDC will prevent WMDC from "seeing" the Navigator. Be sure to exit Naviextras Toolbox prior to attempting to connect the Navigator via WMDC. Download Microsoft Windows Mobile Device Center for your PC by clicking and finding the relevant 32 or 64 bit version, via the link below. Firstly, you need to identify whether you have a 32 or 64 bit version of Windows installed on your PC. You need to identify your PC operating system as there are two different versions of the software; either 32-bit or 64-bit. You can find this out by going to the Control Panel - System tool. You will see something like the screenshot shown above. 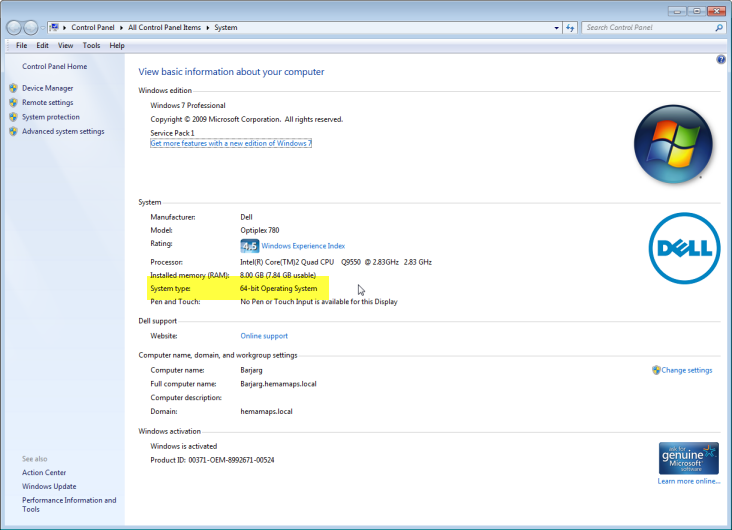 Note the highlight in this example is showing the OS as a 64-bit Operating System. The software is also hosted on Microsoft's website, but it's easier to find here! Remember, to make the connection in Windows Mobile Device Center, the Navigator MUST be connected in Sync Mode. It may take a few tries before WMDC behaves itself. Sometimes, it is neccessary to uninstall and re-install the software to get it working. Ensure the Navigator is NOT connected to the PC. Make sure you uninstall Windows Mobile Device Center Driver Update FIRST (If this exists, as on some PCs it doesn't). Then, uninstall Windows Mobile Device Center. When you go to re-install it, RIGHT-CLICK the install program you downloaded, and select RUN AS ADMINISTRATOR from the pop-up menu. The "Run As Administrator" option should not usually be necessary, but is worth trying if you are having difficulty getting things working. Once you have re-installed the software, the first time you plug in the Navigator, it might take 2-3 minutes to setup the USB drivers which get installed along with the software. If you have previously used the Set up your device option, this will have created a Partnership between your PC and the Navigator. Having a partnership set up can cause conflicts with the software you use to work with the Navigator. 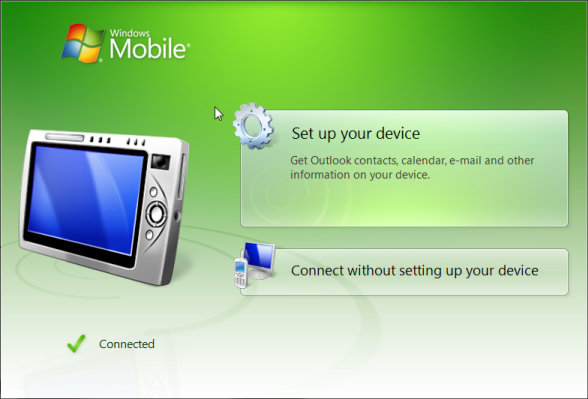 After installing the Windows Mobile Device Center, click on Start, and then click on Computer Management > Services & Applications > Services. Scroll down to right-click on "Windows Mobile-2003-based device connectivity" to select (right-click) on Properties > Log On. Switch to "Local System account" with checking or ticking "Allow service to interact with desktop", click OK, and then Start the service” – close down and restart Windows Mobile Device Center program to ‘Connect’. Furthermore, some customers have had some success running Windows Mobile Device Center in Vista Compatibility mode. If you're still experiencing installation issues, please see this short video here http://kb.hemamaps.com/article/AA-00367/46/ which may offer further guidance. When you've completed this installation, please watch this short video here http://kb.hemamaps.com/article/AA-00365/46/ showing some beginning aspects on using the Hema Navigator Explorer PC application. See the related article link(s) below for other useful information. If you have tried all the troubleshooting tips, please Submit a Ticket to our Support department.